Robert Lyons was born on January 2, 1918, in Newark, New Jersey. He enlisted in the U.S. Army Air Forces on May 8, 1942, and was trained as an aircraft and engine mechanic before deploying to England in July 1943. Sgt Lyons served as an aircraft mechanic and Crew Chief with the 328th Fighter Squadron of the 352nd Fighter Group in England from July 1943 to September 1945. 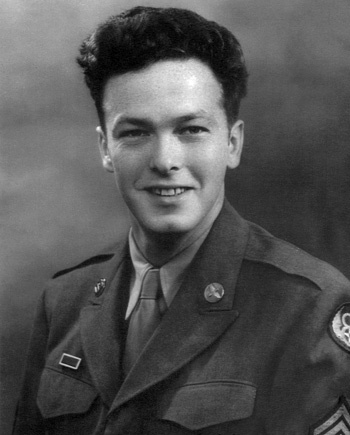 He received an honorable discharge from the U.S. Army Air Forces on September 27, 1945. After leaving active duty, Bob served as a fireman with the Newark Fire Department in Newark, New Jersey, for 32 years. Bob Lyons died on January 25, 2008, and was buried at the Hillside Cemetery in Scotch Plains, New Jersey.